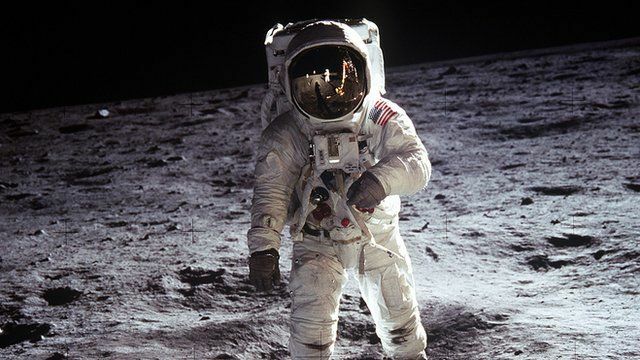 Forty-five years ago this week, millions of people watched as the astronauts of Apollo 11 became the first men to walk on the Moon. Neil Armstrong's words, "One small step for man, one giant leap for mankind", have become a symbol of Nasa's great achievement. But one year after he became the first man on the Moon, surveys in newspapers such as the New York Times and the Philadelphia Sunday Bulletin found that the majority of Americans could not remember his name, says Matthew Tribbe, author of No Requiem for the Space Age. Tribbe says that changes in culture and philosophy, as well as the geopolitical landscape, throughout the 1960s left the public quickly losing interest in the Apollo moon landing and space exploration in general.